In stock. Order in the next 2 hours, 57 minutes and it will go out today! 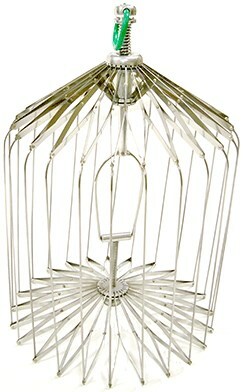 The performer produces from no where a rigid bird cage about 15" high and over 10" diameter with one or more artificial birds on its perch.